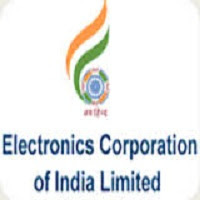 Electronics Corporation of India Limited invites the applications for filling up the following vacancies purely on contract basis. Qualification: A first class Engineering Degree in Electronics & Communication Engineering/ Electrical Electronics Engineering/ Electronics & Instrumentation Engineering/ Mechanical Engineering/ Computer Science Engineering/ Information Technology with minimum 60% marks. Qualification: A first class Diploma in Engineering in the disciplines of Electronics & Communication Engineering/ Electrical/ Electronics & Instrumentation Engineering/ Mechanical Engineering/ Computer Science with minimum 60% marks. Qualification: Should have passed ITI (2 years duration) in the trades of Electronic Mechanic/ R&TV/ Electrical and Fitter. Application Fee: Rs.200/- is applicable for General & OBC candidates. Candidates belonging to SC/ ST/ PWD categories are exempted from payment of Application Fee. How to Apply: Applicants can apply online only. Last date: 05 January, 2019.